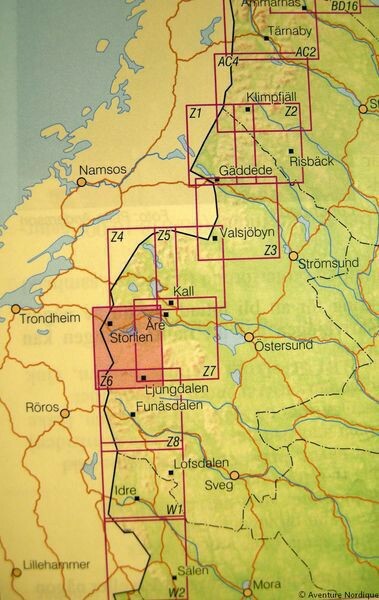 Topographic map at 1:100 000 Z6 Storlien – Ljungdalen edited by Lantmäteriets Fjällkarta. 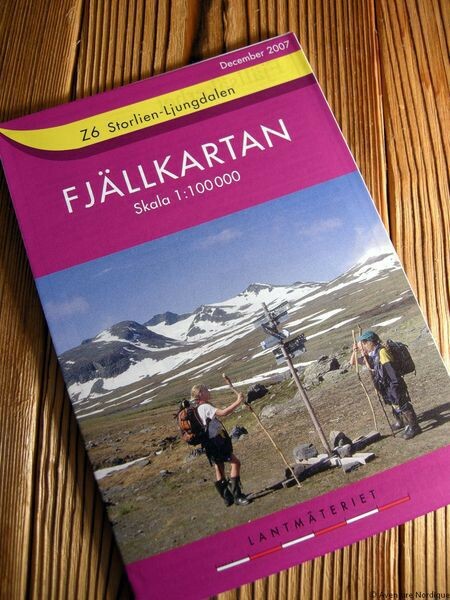 Z6 Storlien – Ljungdalen hiking and outdoor map. 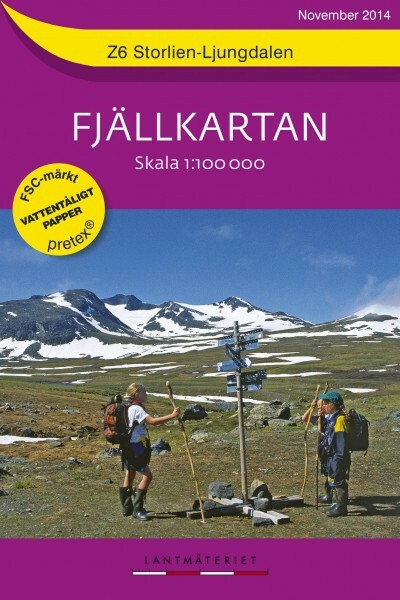 The map covers north part of the Jämtland mountain on the footpath linking the mountain huts Storulvån, and Sylarna Blåhammaren. 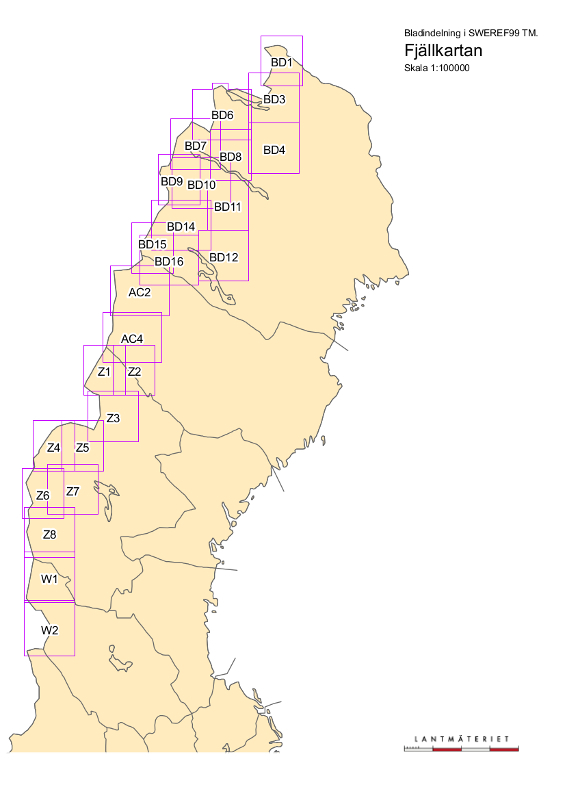 The map boundaries are: north-east Åre, south-east Ljungdalen, south-west Stugudalen, north-west Storlien and Koppera in Norway.Z6 Storlien – Ljungdalen map is compatible with GPS (Sweref 99 TM grid).